Galgamuwa, December 8, 2017 – Four leading civil society organizations have been inducted as partners in the newly-launched Green Climate Fund-supported project in the Dry Zone, ensuring communities will play a leading role in building their own resilience to climate change. Hosted December 5-6 by the Ministry of Mahaweli Development and Environment – the implementing Ministry for the project – in Galgamuwa, the orientation workshop was attended by Janathakshan, Sri Lanka Red Cross Society, South Asia Partnership Sri Lanka, and Palm Community Development Services. The four organizations were selected from 45 applicants in a competitive process, based on their experience in working with communities as well as in minor irrigation, agriculture, drinking water, and disaster risk reduction. Over the coming year, the organizations will support project roll-out in the target districts Anuradhapura, Vavuniya, Puttlam, and Kurunegala (until end 2018). Their role will encompass raising awareness of climate change; mobilizing local involvement in planning, implementation and monitoring; identifying and communicating communities’ needs and feedback; and coordinating with authorities. The agenda of the two-day workshop focused on an introduction to the project; examination of impacts of climate change on the Dry Zone, especially to smallholder farmers; adaptation gaps and the theory of change behind the project; cascade-based approach for climate change adaptation; environmental and social safeguards and gender considerations; and monitoring and evaluation. Janathakshan will support in Anuradhapura district; Sri Lanka Red Cross Society in Kurunegala district; South Asia Partnership Sri Lanka (SAPSRI) in Puttlam district; and Palm Community Development Services in Vavuniya. Launched in September 2017, with support from the Green Climate Fund, the 7-year project ‘Strengthening the resilience of smallholder farmers in the Dry Zone to climate variability and extreme events through an integrated approach to water management’ (the ‘Climate Resilient Integrated Water Management Project’) aims to increase the climate resilience of poor and vulnerable households in the Malwathu, Mi, and Yan river basins. The project, for which UNDP provides technical support, pioneers a holistic approach to enhancing Dry Zone water security and agricultural productivity, and for the first time in a project in Sri Lanka, will include climate smart initiatives designed to combat the effects of extreme weather events on the continuity of irrigation and drinking water supplies. The project specifically targets women and youth groups in implementation, maintenance, monitoring project investments. Carried out environmental surveys, with design work already in progress for three cascades in Anuradhapura and Vavuniya (including within them 54 village irrigation systems). The project is in the process of deploying survey teams to cascades in Vavuniya and Puttlam. Identified water-stressed, vulnerable communities and sources for water supply schemes in the districts of Puttlam and Vavuniya. Janathakshan, meaning "people’s technology" or "technology for people", is a non-profit organization promoting sustainable and green solutions in development. Janathakshan has previously partnered with UNDP on the project ‘Strengthening the Resilience of Post-conflict Recovery and Development to Climate Change Risks in Sri Lanka’; Wayamba Farmers Market; and the Kaduwela Biogas Unit. South Asia Partnership Sri Lanka (SAPSRI) is a non-profit organization following a participatory approach in planning and implementation of development activities aimed mostly at empowering women (female headed households’ widows and displaced) and youth. SAPSRI has worked with UNDP previously on the GEF Small Grants Programme. Palm Community Development Services is a non-government community development organization adopting a holistic approach to implementing community development & community mobilization. The organization has partnership with UNDP previously on the EU Support to District Development Programme by GLED, and Strengthening of Community-based Organizations. 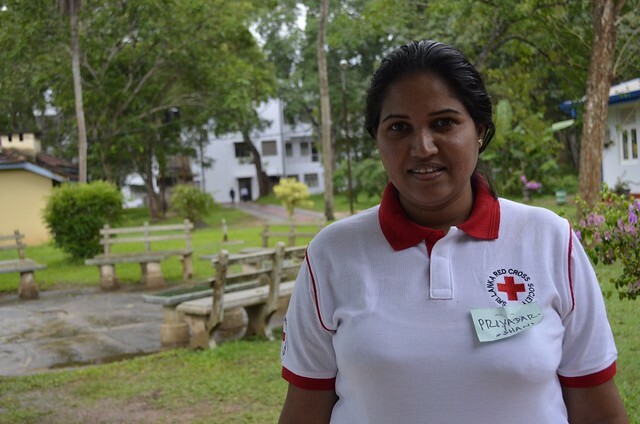 Sri Lanka Red Cross is an independent non-government humanitarian organization with over 100,000 members and 6,500 active volunteers, focused on reducing risk and creating universal access to services through volunteerism and partnership.